One characteristic of developed countries is generally a convenient transportation system, fast and adequate. Same as Seoul. As one of the developed world, transportation in the country which is famous for high advanced. Well, the most I like it when go outside, Pedestrian right leg, very honored! Not mean to compare, and it is also not fair if I compare Seoul to Jakarta that developed countries are still developing country. However, as child day-to-day shoreline up and down public transportation and walking Amendment, I really crave, desire a comfortable pedestrian area. Back to transportation in South Korea. What are the alternatives of public transport available there? Here are some alternative transportation. Subway is a subway that many people used to explore the cities of Seoul. Almost the whole city at affordable Seoul subway, subway so that’s why the main means of transportation there. Armed with a map of the subway lines, I’m sure anyone can ride the subway with ease because the instructions were complete. Each will stop at the station, there will be announcements in Korean and English, so do not be afraid too far. Arrival time of the next train can also be seen on the notice boards where we waited. Be easy to remember, every subway station is named in accordance with the surrounding area. Every subway station is also numbered and color coded (marked with Subway Line). Especially for Transfer station, which station the train changes, the map is marked by a larger circle. Get ready because you will be sore foot lot walking from one point to another point dismissal. Do not expect to buy the tickets manually. Here you are required to self, buy a ticket yourself using machines (like MRT in Singapore and Thailand). Ticket machine operates in Korean, English, Japanese and Chinese. This card is only for one-time trips, Can only be used in subway, If the card is returned, then the money you will returned for 500 won (per card), you can return this card in Deposit Refund Device. So which do you choose? If I, as riding the subway everywhere, so I bought a multiple order not bother buying any back and forth like riding the subway. Besides basic card price is cheaper. Subway station also provides facilities such as storage lockers are also versatile system, toilet, shopping, to the show. - Blue, the color of buses operating on main roads and for relatively long distances. - Green, the color of buses serving the route is shorter trip than blue bus, typically carry passengers who transfer between points. - Red, this is the express bus (inter city) that operates from Seoul to the suburbs. - Yellow, these buses operate on a particular circuit in Seoul, one of them to NSeoul Tower. I try bus ride over from NSeoul Tower and down in a subway station, then continue riding the subway. The Bus was clean, well maintained. You could pay him cash or wear T-Money card. Prepare only pennies, because the bus fare is not expensive anyway, I forgot how much. Almost every bus stop there is a map and bus route. At certain stops, there is a screen that tells the bus arrival time. Remember: the bus will only stop at the stop, so do not carelessly to stop the bus please. Taxis usually hung in the crowded area activities. In addition to cash, the taxis here can also accept payment by credit card or public transportation card such as T-Money Card. Taxi rates are set based on the distance. For Regular cab types, essentially rates around 2,500 won (for the first 2km) and will go up 100 won every 144 meters. Then there is the type Deluxe cab. Basically the higher the rate of 4,500 won for the first 3km, and rose 200 won per 164 meters. The difference with the regular cab is only in space in them wider. There is also International Taxi, Taxi was launched since May 2009. Well, the advantage is that a driver can speak English or Japanese. Taxi operates by order only, the charge is calculated based on distance, destination or time. Could pay him cash or use credit cards Visa, Master, Amex, JCB. Ticket prices depend on the classification of the train. 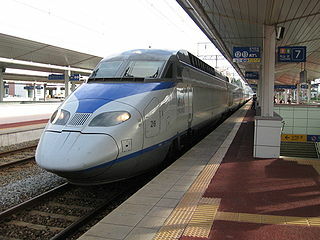 Tickets can be ordered online via the website: the famous train station in Seoul is Seoul Station, one of the lines serving the route from Seoul to Busan. The location is at Seoul Station Square, then took the subway down at Seoul Station (Lines 1/4/AREX/Gyeongui Lines, Exits 1/14).